Chamilia (www.chamilia.com), a Swarovski company will make the summer of 2019 more charming with their new collection from Spoken by Chamilia. SPOKEN BY CHAMILIA Summer 2019 is the new inspired collection of charms, bangles, rings, and chains – Spoken by Chamilia Summer 2019, brings a line of “optimistic and spirited sentiment jewelry.” The collection is hand-crafted in sterling silver or Chamilia Blush, with some styles available in 14 karat yellow gold or 14 karat rose gold electroplating. 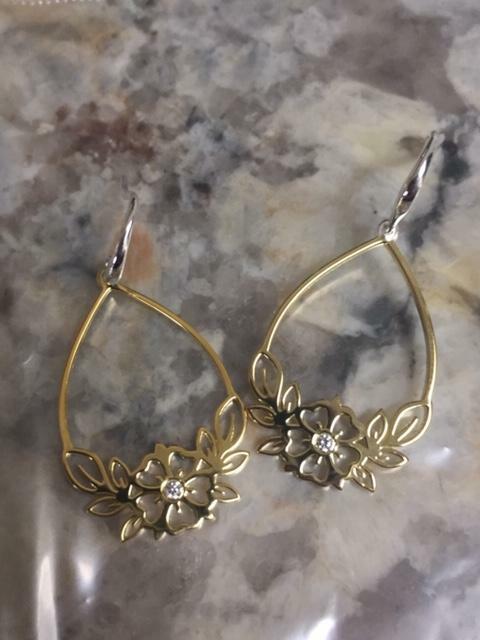 Hibiscus Flower Open Drop Earrings—These bright sterling silver open drop earrings are electroplated in 14K yellow gold (except for the ear hook) and feature a blooming hibiscus, surrounded by leaves, at the base of the open drop with a Swarovski Pure Brilliance Zirconia at its center. Spoken Linear Hibiscus Flower & Leaves Charm— a sterling silver charm which is electroplated in 14K yellow gold and features a single hibiscus with a Swarovski Pure Brilliance Zirconia at its center and dangling leaves detailing at its base. Hibiscus Flower Drop Ring— bright sterling silver ring features a dangling single hibiscus electroplated in 14K yellow gold with a Swarovski Pure Brilliance Zirconia at its center. 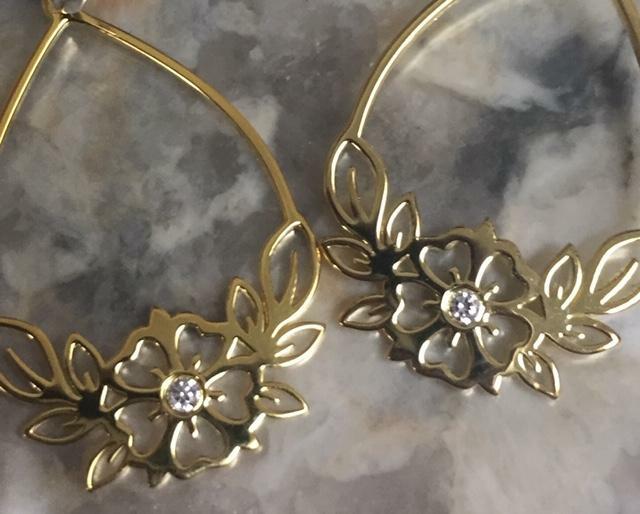 Hibiscus Flower ID Bangle Bracelet— sterling silver bangle features a hibiscus with a Swarovski Pure Brilliance Zirconia at its center, flanked by four sets of leaves; available in a bright silver finish or 14 karat yellow gold electroplating. The Spoken by Chamilia Summer 2019 collection will be available at retail on April 15, 2019, and will be sold at select Chamilia retail partners worldwide and on the Chamilia website. For more information about Chamilia, go to www.chamilia.com.